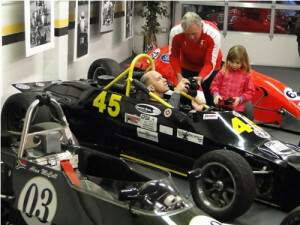 The Sports Car Club of BC’s Race Driver Training program hosted by the SCCBC Race Driver Committee is a highly respected and sought after competition driving school. You can find answers to frequently asked questions about the program in the list below. Q. When is the next SCCBC race driver training course? A. We currently offer two courses per year, one in March and a second in June. A. Registration typically opens one month prior to the start date for the course. You can check the SCCBC schedule page for course dates and links to registration. This is a very popular course so be sure to register early to reserve your seat. Q. Can I share a vehicle with a friend? Q. Can I use a vehicle with an automatic transmission? Q. Can I use a convertible vehicle for the course? A. Soft top, retractable hard top and t-top cars are not permitted unless equipped with a CACC-approved roll bar. Q. Can I use a race car for the course? Q. My vehicle has performance upgrades. Can I use it for the course? A. Owners of modified vehicles should contact the course registrar to determine suitability of the vehicle. Q. Can I use a motorcycle helmet? A. As long as it is SNELL M2005 or newer. Q. Do I need additional racing gear such as racing shoes, gloves, driving suit etc? A. The only requirement is an approved helmet and normal street clothing. Q. I am a minor, can I take the course? A. Yes. A minor waiver form with parent or guardian signatures is required and must be signed in the presence of an RDC committee member. Q. I have an ‘N’ (new) driver’s license. Can I take the course? Q. I have an ‘L’ (learners) driver’s license. Can I take the course? Q. I have a vintage car. Can I use it for the course? A. Yes. However, you should strongly consider the reliability and handling of your older vehicle in this demanding event. It’s recommended that you contact the course registrar to discuss suitability of your specific vintage car.